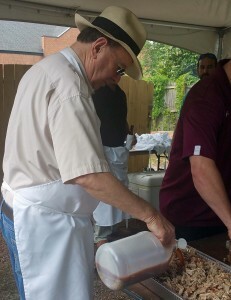 COLUMBIA, SOUTH CAROLINA – Instead of spending the day toiling over a legal brief, the attorneys at Callison Tighe were busy recently sweating over a barbecue grill for a great cause – the Richland County Bar Association Judicial Barbecue. As has been tradition for many years, Callison Tighe’s chefs spent the day cooking pigs for the gathering that honors Richland County judges. 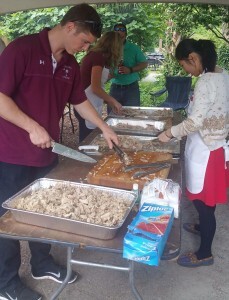 The family event, held annual at Seibels House and Gardens, included live music in addition to delicious barbecue.